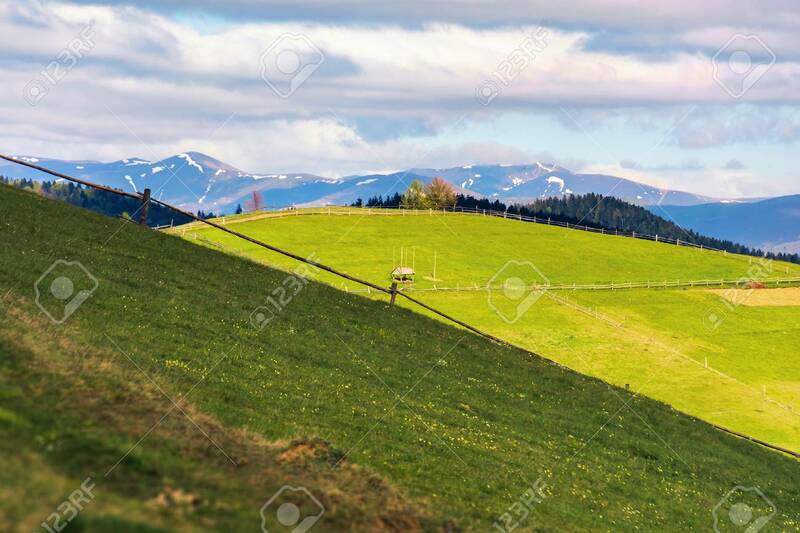 Rural Field On Grassy Hill In Mountains. Distant Ridge With Snowy.. Stock Photo, Picture And Royalty Free Image. Image 117778390.